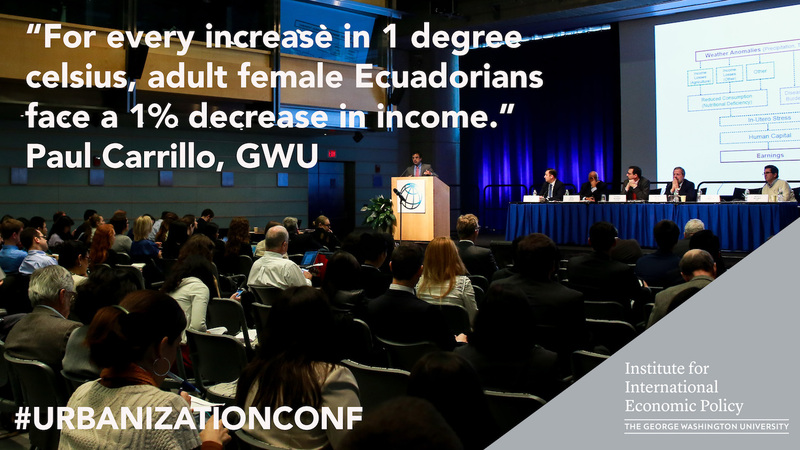 This conference hosted by the World Bank, George Washington University (Institute for International Economic Policy), the NYU Marron Institute of Urban Management, the NYU Urbanization Project, and The Growth Dialogue brings together academics and development practitioners to present and discuss the challenges of sustainable urbanization in developing countries. Addressing environmental change in urban areas is one of the greatest challenges of the 21st century, particularly given that the world is now more than half urban, and Africa and Asia are experiencing unprecedented rates of urban population growth. Cities themselves are a major contributor to this challenge, as they consume an enormous share of the world’s energy and emit large amounts of carbon dioxide. At the same time, they are heavily vulnerable to climate change and increasingly exposed to climate induced risks (including floods from rising sea levels and higher precipitation, destruction from stronger cyclones and storms, and periods of extreme heat and cold). The phenomenon of urbanization itself is also likely to be significantly altered by environmentally induced migration. Despite these risks, many cities have not created or implemented crucially needed policies to attenuate the causes of climate change and to effectively protect cities from its impacts. 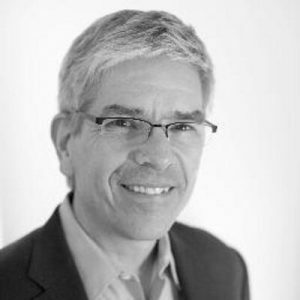 Paul Romer, an economist and policy entrepreneur, is University Professor at NYU and director of the Marron Institute of Urban Management. He is also the founding director of the Urbanization Project at the NYU Stern Urbanization Project. The Urbanization Project conducts applied research on the many ways in which policymakers in the developing world can use the rapid growth of cities to create economic opportunity and undertake systemic social reform. Before coming to NYU, Paul taught at Stanford’s Graduate School of Business. While there, Paul took an entrepreneurial detour to start Aplia, an education technology company dedicated to increasing student effort and classroom engagement. 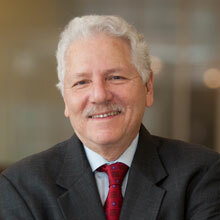 Paul serves on the board of trustees for the Carnegie Endowment for the Advancement of Teaching. He is also a member of the board of directors for Community Solutions, a national not-for-profit dedicated to strengthening communities and ending homelessness. In 2002, he received the Recktenwald Prize for his work on the role of ideas in sustaining economic growth. Kaushik Basu is Senior Vice President (Development Economics) and Chief Economist of the World Bank. Prior to this, he served as Chief Economic Adviser to the Government of India and is currently on leave from Cornell University where he is Professor of Economics and the C. Marks Professor of International Studies. Mr. Basu is a Fellow of the Econometric Society and received India’s Padma Bhushan award as well as the National Mahalanobis Memorial award. Mr. Basu’s contributions span development economics, welfare economics, industrial organization and game theory. Maureen Cropper is a Distinguished University Professor and Chair of the Department of Economics at the University of Maryland. She is also a Senior Fellow at Resources for the Future and former Lead Economist in the Research Department of the World Bank. Dr. Cropper has served as chair of the EPA Science Advisory Board’s Environmental Economics Advisory Committee, and as past president of the Association of Environmental and Resource Economists. Maureen is currently serving as co-Director of the National Academy of Sciences study on Assessing Approaches to Updating the Social Cost of Carbon. She is a member of the National Academy of Sciences and a Research Associate of the National Bureau of Economic Research. Her research interests include valuing environmental amenities and the tradeoffs implicit in environmental regulations, including energy regulations. Her current research focuses on energy efficiency in India and the impact of climate change on migration. Maureen received her Ph.D. in economics from Cornell University in 1973. Asli Demirgüç-Kunt is the Director of Research in the World Bank. After joining the Bank in 1989 as a Young Economist, she has held different positions, including Director of Development Policy, Chief Economist of Financial and Private Sector Development Network, and Senior Research Manager, doing research and advising on financial sector and private sector development issues. She is the lead author of World Bank Policy Research Report 2007, Finance for All? Policies and Pitfalls in Expanding Access. She has also created the World Bank’s Global Financial Development Report and directed the issues on Rethinking the Role of the State in Finance (2013), and Financial Inclusion (2014). 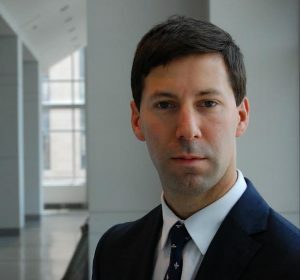 Stephen Hammer joined the World Bank’s Urban Development and Resilience Unit as a Lead Urban Specialist in February 2013, leading the team’s work on cities and climate change issues. He has more than 25 years of government, consulting, and academic experience on energy, environmental, solid waste, and climate change topics. Prior to joining the Bank he was on the faculty at MIT, where he taught a range of courses on energy policy and planning. He previously founded the Urban Energy Program at Columbia University, where he focused on the policy, market, and regulatory environment of urban energy systems; how climate change will affect urban and regional energy systems; and the modeling of energy demand in cities. He also co-founded and served as co-Director of the Urban Climate Change Research Network (UCCRN), a global network of researchers examining climate change from an urban perspective, and he co-edited the UCCRN’s 2011 volume Climate Change and Cities, published by Cambridge University Press. He currently serves on the editorial boards of the academic journals Urban Climate and Local Environment. Dr. Hammer holds degrees from the London School of Economics, the Kennedy School of Government at Harvard University, and the University of California at Davis. Sameh Wahba is Sector Manager, Urban Development and Resilience Unit, World Bank, where he is responsible for the Bank’s urban policy, strategy, and analytics at the global level. Prior to this position, Wahba was the Brazil Sector Leader of the Sustainable Development Department at the World Bank’s Latin America and the Caribbean Region, where he was responsible for coordinating the bank’s investment program and policy advisory/analytical services in Brazil in the areas of urban development, infrastructure, disaster risk management, and social development, as well as coordinating the bank’s portfolio in several states including Sao Paulo. Since joining the World Bank in 2004, he has worked on urban development, housing, and infrastructure in Latin America and the Caribbean and the Middle East and North Africa Regions. While at the World Bank, he has managed numerous investment and technical assistance activities related to housing, land and urban upgrading policy, infrastructure, local economic development, municipal/urban development issues, and disaster risk management in several countries. Prior to joining the bank, he worked at the Institute of Housing and Urban Development Studies (IHS) in Rotterdam and at the Harvard Center for Urban Development Studies in Cambridge, Massachusetts. Shahid Yusuf is Chief Economist of the Growth Dialogue. Dr. Yusuf has written extensively on development issues, with a special focus on East Asia and has also published widely in various academic journals. He has authored or edited 24 books on industrial and urban development, innovation systems and tertiary education. His five most recent books are: Development Economics through the Decades (2009); Tiger Economies under Threat (co-authored with Kaoru Nabeshima, 2009); Two Dragonheads: Contrasting development paths for Beijing and Shanghai (co-authored with Kaoru Nabeshima 2010); Changing the Industrial Geography in Asia: The Impact of China and India (co-authored with Kaoru Nabeshima 2010); and China Urbanizes (co-edited with Tony Saich, 2008). Dr. Yusuf holds a Ph.D. in Economics from Harvard University, and a BA in Economics from Cambridge University. He joined the World Bank in 1974 as a Young Professional and while at the Bank spent more than 35 years tackling issues confronting developing countries. During his tenure at the World Bank, Dr. Yusuf was the team leader for the World Bank-Japan project on East Asia’s Future Economy from 2000-2009. He was the Director of the World Development Report 1999/2000, Entering the 21st Century. Prior to that, he was Economic Adviser to the Senior Vice President and Chief Economist (1997-98), Lead Economist for the East Africa Department (1995-97) and Lead Economist for the China and Mongolia Department (1989-1993). 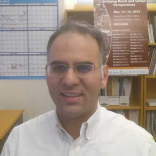 Dr. Yusuf lives in Washington DC and consults with the World Bank and with other organizations. Antonio M. Bento is a professor at the Sol Price School of Public Policy and the Department of Economics of the University of Southern California. He is also a research associate of the National Bureau of Economic Research (NBER), and a research fellow of the Schwarzenegger Institute for State and Global Policy. Currently, he serves as the Director of the Graduate Programs in Public Policy at the Sol Price School. Shlomo (Solly) Angel is an Adjunct Professor at NYU and senior research scholar at the NYU Stern Urbanization Project, where he leads the Urban Expansion initiative. Angel is an expert on urban development policy, having advised the United Nations, the World Bank, and the Inter-American Development Bank (IDB). He currently focuses on documenting and planning for urban expansion in the developing world. Angel earned a bachelor’s degree in architecture and a doctorate in city and regional planning at the University of California, Berkeley. Klaus Desmet is the Altshuler Professor of Cities, Regions and Globalization at Southern Methodist University and a research fellow at the Centre for Economic Policy Research. He holds an MSc in business and engineering from the Université catholique de Louvain and a PhD in economics from Stanford University. His research focuses on regional economics, international trade, economic growth and diversity. His work has appeared in journals such as the American Economic Review, the Journal of Economic Theory and the Journal of Development Economics. Walker Hanlon is an Assistant Professor at UCLA, a Faculty Research Fellow at the NBER, and a Research Associate at the California Center for Population Research. He received his Ph.D. from Columbia University in 2012. He is currently pursuing two main lines of research. The first seeks to better understanding the forces driving innovation and economic growth over the long term using novel historical data sources. Much of his work in this area takes advantage of the economic shock to the British economy causes by the U.S. Civil War. Using this event, he explores how the sudden shortage in cotton caused by the U.S. Civil War on innovation in the British cotton textile industry, and whether the temporary recession in cotton textile cities had a long-term impact on the trajectory of city growth. His second line of research looks at the long-run impact of pollution on urban economies, with a particular focus on industrial pollution linked to coal use in the cities of 19th century Britain. In this line of research, he investigates both the health effects of pollution, as well as the impact of pollution on long-run city growth and population sorting. Shareen Joshi is Assistant Professor of International Development at the Georgetown University School of Foreign Service and Non-Residential Research Fellow in Quantitative Research at ICRW. She has a PhD in Economics from Yale University and an undergraduate degree in Mathematics and Economics from Reed College in Portland Oregon. Her research focuses on examining the impact of poverty-alleviation policies on the well-being of families. Much of her work has a strong focus on issues of gender and long-term investments in human capital. Recent work has explored the relationship between pollution and child mortality in India, the impact of India’s Janani Suraksha Yojana (Safe Motherhood) program on health-care provision in India, the impact of women’s self-help groups on women’s collective action and the long term consequences of a family planning programs in Bangladesh. Adam Storeygard joined Tufts after receiving his PhD from Brown University in 2012. His research interests are in development and urban economics, and particularly in urbanization, transportation, and the economic geography of sub-Saharan Africa. Before graduate school he worked at Columbia University developing and analyzing spatial datasets related to health and development. Professor Storeygard’s work has appeared in journals including the American Economic Review, Nature, and the Bulletin of the World Health Organization. His prior degrees are an A.B. in Physics from Harvard University and an M. Phil. in Environment and Development from Cambridge University.